Sales and marketing alignment is increasingly recognised as a critical contributor to sustained business success. According to recent research published by the Aberdeen Group, despite the challenging recent economic conditions, highly-aligned organisations managed to average 20% annual revenue growth - as opposed to a 4% decline for their poorly-aligned competitors. Our own detailed observations of top-performing companies have thrown up a handful of fundamental initiatives upon which exceptional alignment can be built. Regardless of whether you’ve chosen to manage sales and marketing as two separate teams or as one integrated organisation, creating a single, unified plan for sales and marketing brings tremendous advantages in ensuring that everyone is on the same page and facing in the same direction. It’s becoming increasingly important to manage marketing and sales activities as integrated steps in a revenue creation cycle that spans every stage in the relationship between the vendor and their target markets - from initial research and targeting through prospecting, qualifying, closing and subsequent account development. 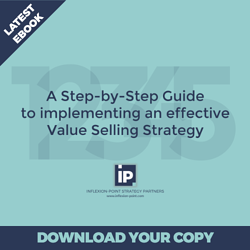 Your marketing and sales teams will benefit from agreeing and documenting a clear service level agreement that establishes common definitions for the key stages in the revenue creation cycle, as well as establishing how the two functions commit to work together to move prospects from stage to stage in the process. Ensuring that sales and marketing agree about the characteristics of an “ideal prospect” in each of your chosen target markets can help ensure that marketing efforts are targeted at finding more of the right sort of prospects, that sales people qualify accurately and early in the sales cycle, and that every action adds value to the prospect’s buying process. Poor quality data is a key contributor to many underperforming sales and marketing functions. You simply cannot afford incomplete, inaccurate or out of date information - and yet few organisations have developed consistent data quality measures, or have a programme for continuous data quality improvement. Data quality must become a critical initiative. If they are to accurately predict future revenues, and diagnose and deal with the constraints that may be affecting performance, organisations need accurate visibility of the true state of their sales and marketing pipelines, including typical conversion rates from stage to stage and time-based metrics about how long opportunities take to move through the process. 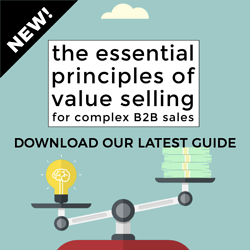 Last, but by no means least, every member of the sales and marketing function must be focused and rewarded on the actions and behaviours that will create the greatest value in the revenue creation cycle. This requires a move away from activity-based incentives and towards outcome-based incentives that reflect the true contribution to the greater good. To learn more about these 7 recommendations, please click any of the above links. Alternatively, you can download the consolidated recommendations in the form of an easy-to-read white paper here. I hope you find these recommendations useful as you plan ahead for the coming year. How do they compare with your own priorities? Which seem most relevant to your own situation? Please share your feedback.